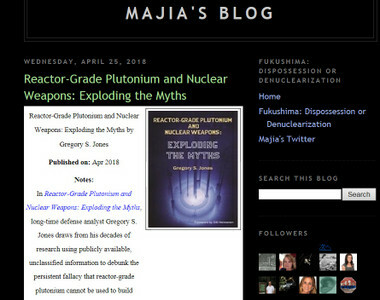 ・　……long-time defense analyst Gregory S. Jones draws from his decades of research using publicly available, unclassified information to debunk the persistent fallacy that reactor-grade plutonium cannot be used to build reliable nuclear weapons. ・　Jones also details how the U.S. successfully tested a nuclear weapon using what was truly reactor-grade plutonium in 1962. All of this leads Jones to argue for banning plutonium recycling and reprocessing globally.